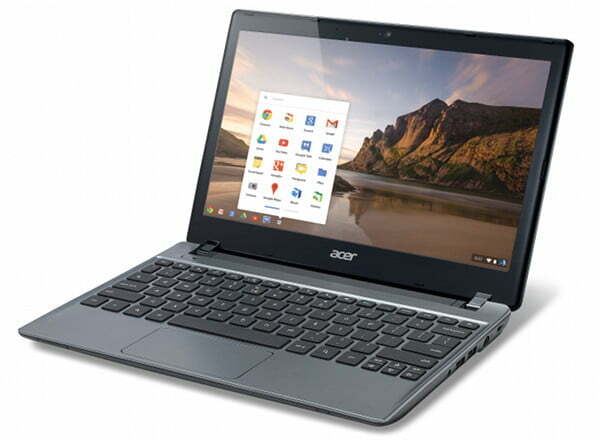 Samsung’s debut of several new Chromebooks, including a $249 model with an ARM processor, was met by silence from the only other hardware manufacture supporting Chrome OS – Acer. 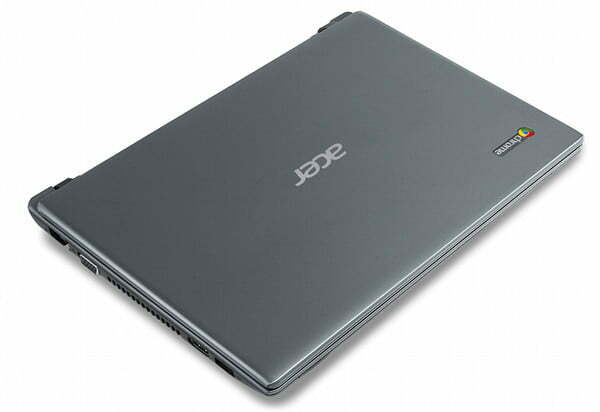 Now, Acer has responded with a brand new model, the Acer C7, which starts at just $199. That’s even less than Samsung’s cheapest option and the same price as a Nexus 7 or Kindle Fire HD. For that price, buyers would be greedy to expect anything more than an ARM processor, yet Acer has upped the ante by cramming in an Intel Celeron 847. It’s based on the same Sandy Bridge architecture found in Intel’s second-generation Core products (Google incorrectly identifies it as a Core processor in its press release) but the clock speed is limited to just 1.1Ghz. That’s 200 Mhz slower than the processor found in Samsung’s $449 Series 550 Chromebook that we reviewed in June 2012. Besides that difference, the two CPUs are otherwise identical, meaning performance should be similar. The laptop also comes with an 11.6-inch 1366×768 display, 2GB of RAM, and a 320GB mechanical hard drive – specifications that put it on par with Samsung’s much more expensive offering. Even connectivity is decent thanks to three USB 2.0 ports and HDMI-out. The only obvious cost-cutting measure is the battery. Acer hasn’t disclosed its size but official quotes peg battery life at only 3.5 hours – and manufacturer estimates are often generous. The C7 is 1-inch thick and weighs in at 3 pounds, putting it on par with Samsung’s model. However, the difference in battery life makes Acer’s alternative far less useful as a travel companion. Acer has also dropped solid state storage, though trading it for a 320GB mechanical drive seems a decent deal. Consumers in the U.S. will be able to grab the C7 starting November 13 at Best Buy’s website and retail stores, or through the Google Play store. UK buyers will also be able to find it at Amazon UK, PC World, and Currys.